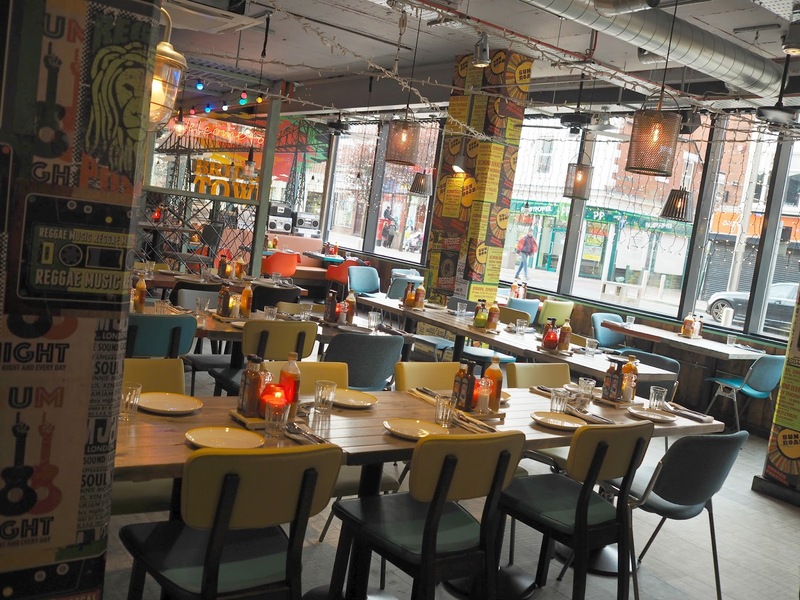 This month saw the opening of the highly anticipated Turtle Bay in Middlesbrough, a brightly decorated Caribbean restaurant which is truly a welcome addition to the town. I was invited along to the preview evening to sample some of the delicious cocktails and food they have on offer (and have already been back again since) - it's that good! 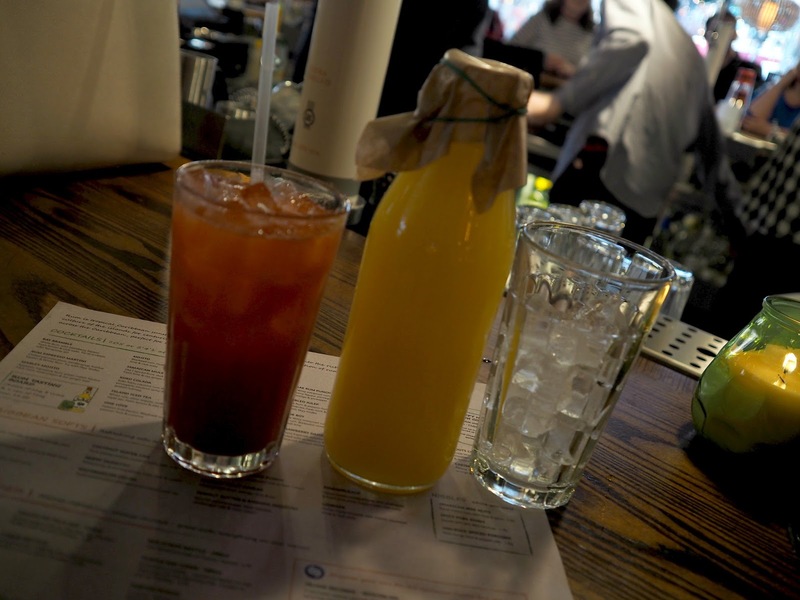 After visiting the Newcastle restaurant last year, I had a good idea of what to expect and I wasn't disappointed at all... As soon as you enter the restaurant you find yourself at the bar which is adorned with over fourty varieites of rum, gin and so much more. While waiting for our drinks to be made, I found myself admiring the amazing décor, it's so bright and vibrant with graffiti style paintings on courrogated metal, overlapping posters, industrial style lighting and neon signs, it has such a fun atmosphere, which is only exaggerated more by the upbeat music playing throughout the restaurant. As I was driving, I had to stick to the 'Caribbean Softs' side of the menu, but nevertheless all of my drinks were incredibly tasty... I managed to work my way through a Passion Fruit Cooler, Pineappleade, Berry Smoothy and Coconut & Pineapple Punch. Next time I visit I'll be making sure I'm not driving and I'll take advantage of the two for one cocktail deal which runs every day until 7pm. When it came to tasting the food, we were truly spoiled. Firstly we were served platters of starters; one being vegetarian and one including meat options. From the vegetarian platter I loved the Sweetcorn Fritters and Okra Ladies Fingers and my favourite part of the meat platter had to be the Jamaican Beef Patty and the Glazed Pork Ribs. I'd highly recommend ordering these if you're new to Caribbean food as it's a great way to sample the flavours and spices, and you're sure to find a few things you love. 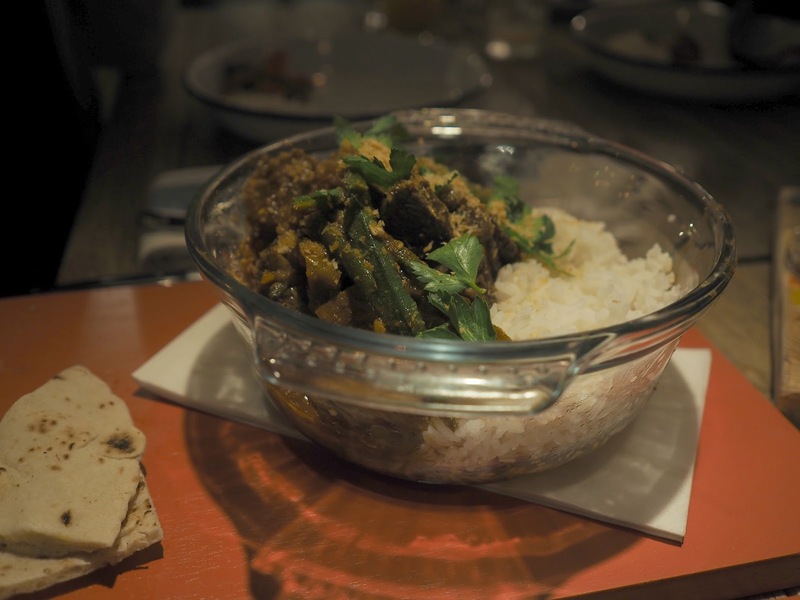 Our first main courses were two of the newest curries to be added to the Turtle Bay menu; Bajan Beef Cheek Curry; six hour slowly simmered beef cheeks marinated in Caribbean spice, okra, potato, garlic, ginger, star anise, cinnamon, coriander and toasted coconut served with steamed rice and roti flatbread and a vegan option; the Spinach, Aubergine and Sweet Potato Curry, served in a fragrant light curry sauce with green beans, kidney beans and sugar snap peas cooked in Jamaican spices. 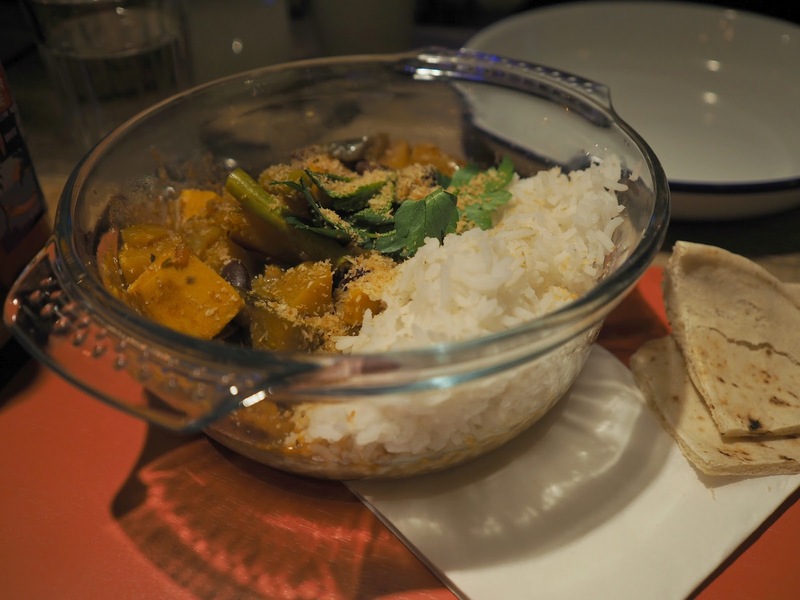 Both curries were packed with flavour, each mouthful bringing a different taste to the last. My favourite of the two was the beef cheeks - the meat fell apart and melted in my mouth, and the spices were just right for my personal taste; not too hot but with a bit of a kick. 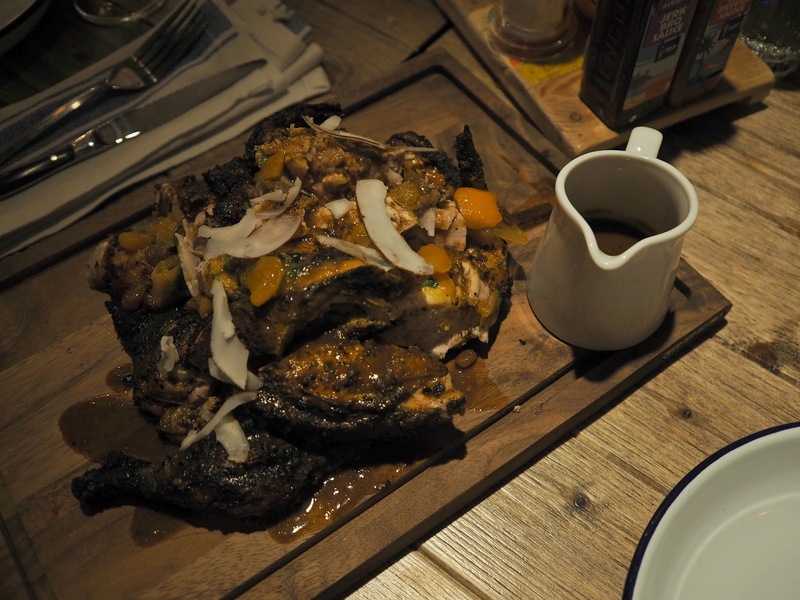 Next came the classic Caribbean dish ; a whole Jerk Chicken. 24 hour jerk marinated and pit grilled chicken, served with coconut rice 'n' peas, Caribbean slaw, sour orange chutney and fresh coconut shavings. If you're ever visiting Turtle Bay and don't know what to order, go with the jerk chicken, you really can't go wrong. For one, you can watch the chicken being cooked over the open flames in the open plan kitchen which overlooks the restaurant - an amazing touch. 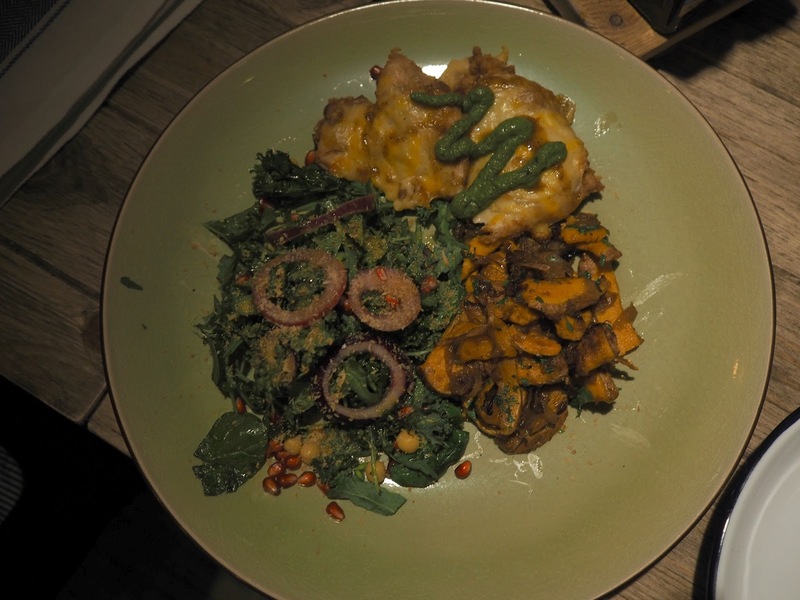 Secondly, the flavours are just amazing, and unlike anything else you will find in Middlesbrough - I could happily order this every time I visit, with a side of sweet potato fries this is my dream main course. The fact that you can select your choice of jerk glaze means that you can change it up a little bit each time too. I thought that the Jerk Chicken was the last dish, but I was wrong. Next came another favourite of the night, the Slow Braised Beef Rib; slow cooked and pit grilled with sweet onion chutney and a side order of Watermelon, Lime & Corriander Chow Salad. The beef fell off the bones, it was so tender and the spices worked perfectly with the salad which added a really cooling and refreshing bite to the dish. As a special treat for preview night, we were served a Turtle Bay twist of the Chicken Parmo, made with jerk chicken and although I can't promise this will ever be served again, I did my best to convince the team that they need to bring it back as a special, as everyone I know would LOVE this! If you're not from Middlesbrough and are wondering what I'm talking about, a chicken parmo is a famous Middlesbrough dish made from breaded chicken breast, topped with Béchamel sauce and cheese - It's so naughty, but so good, and I have to say the Turtle Bay version was probably the best I've ever tried. 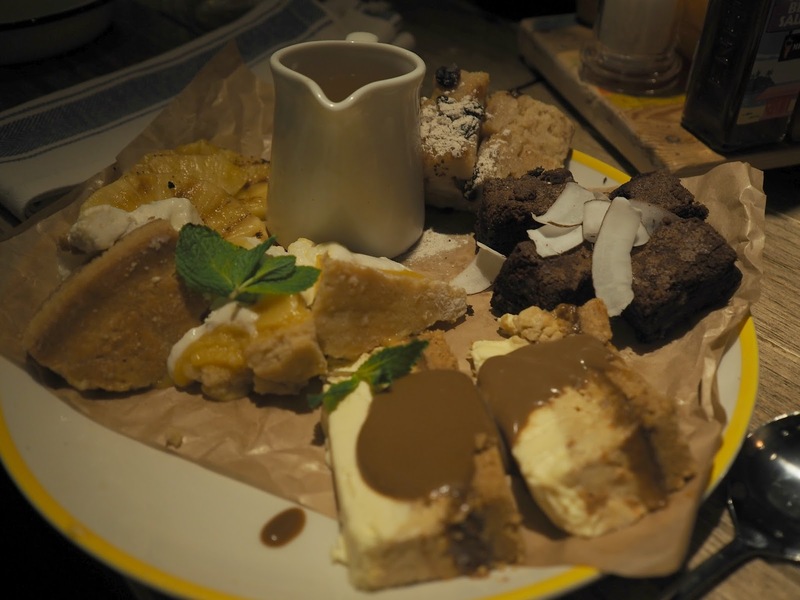 Lastly, we were served the most amazing dessert platters which included Rum & Raisin Bread Pudding, Dark Chocolate Brownie, Fresh BBQ Pineapple, Passion Pie and my personal favourite; Banana & Toffee Cheesecake. By this point of the evening, I was feeling rather full and slightly greedy, but I did manage to sample a little of each of the puddings on offer - All of which were really tasty and unlike any regular desserts... I love that they have carried on the Caribbean influence to the desserts too. 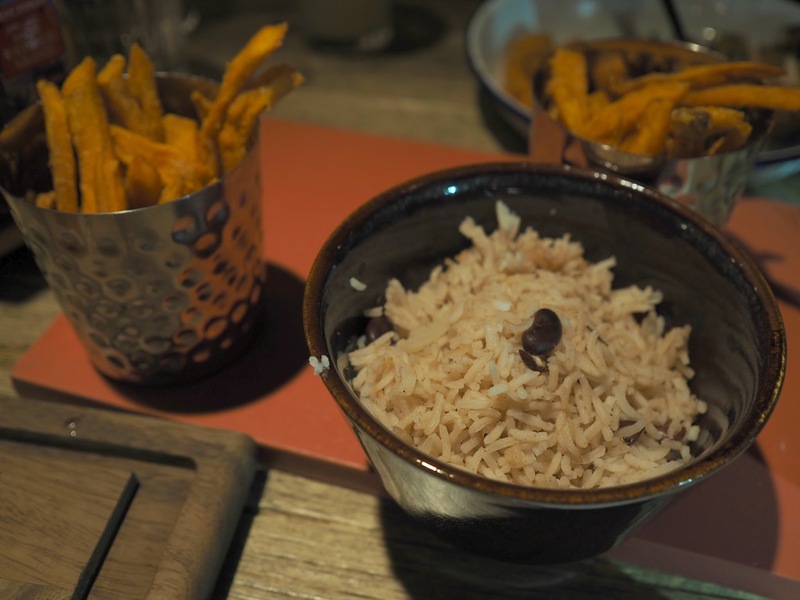 If you've never tried Caribbean food before, I challenge you not to be intrigued by the Turtle Bay offerings and if you're not a huge fan of spice, don't be put off, I'd describe the majority of the dishes as more flavoursome than spicy. The staff in the Middlesbrough restaurant are all really friendly and knowledgeable too, so if you're unsure, just ask and they will make suggestions on food, sides and complimenting cocktails and drinks to go with your choices. 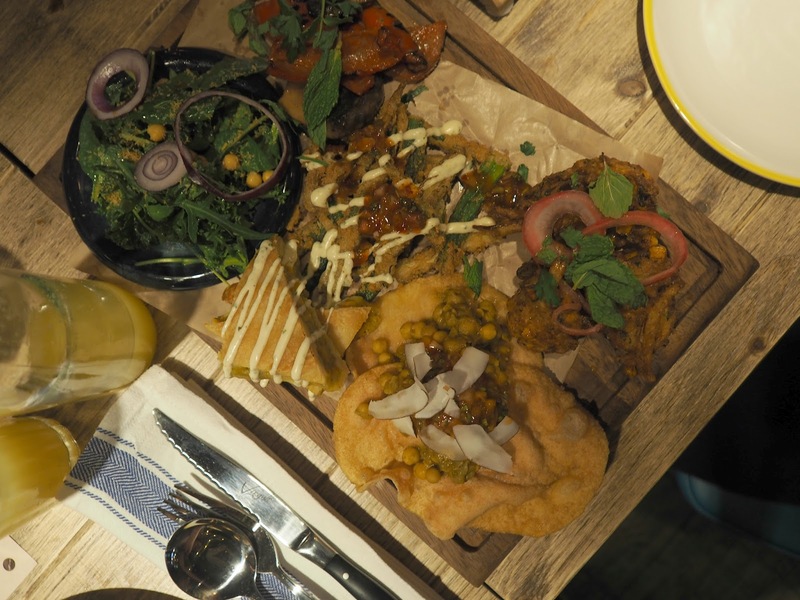 Turtle Bay is open now and is located next door to Barclays Bank in the old Walkabout building on Corporation Road, Middlesbrough. This sounds absolutely gorgeous. I am definitely going to have to go and give this a try. Is everything spicy or can you control the spice you eat? 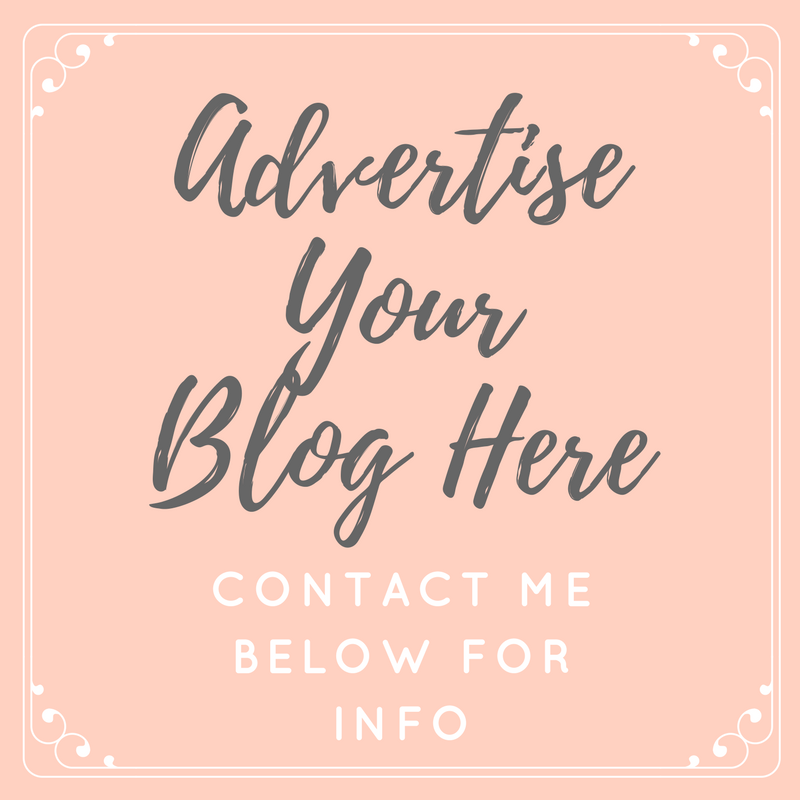 I suffer terribly with IBS!